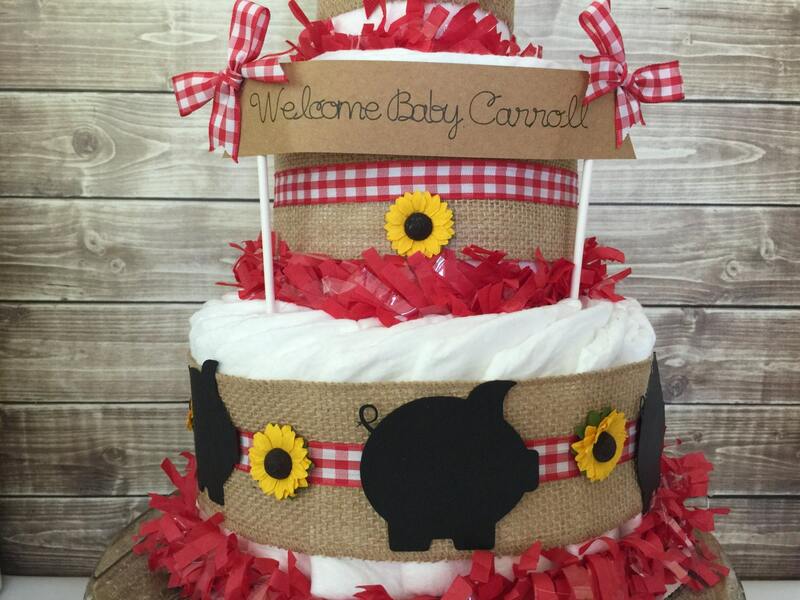 This Barbecue Themed Baby Shower Centerpiece is designed with gingham pattern and adorable handcrafted cut outs including little pigs and custom sign! You can add a gift card message to your recipient in the note box once in the shopping cart. If you are sending your item as a gift to someone else, please include a short message to your recipient. Please do not forget to add a signature so they know whom to Thank! 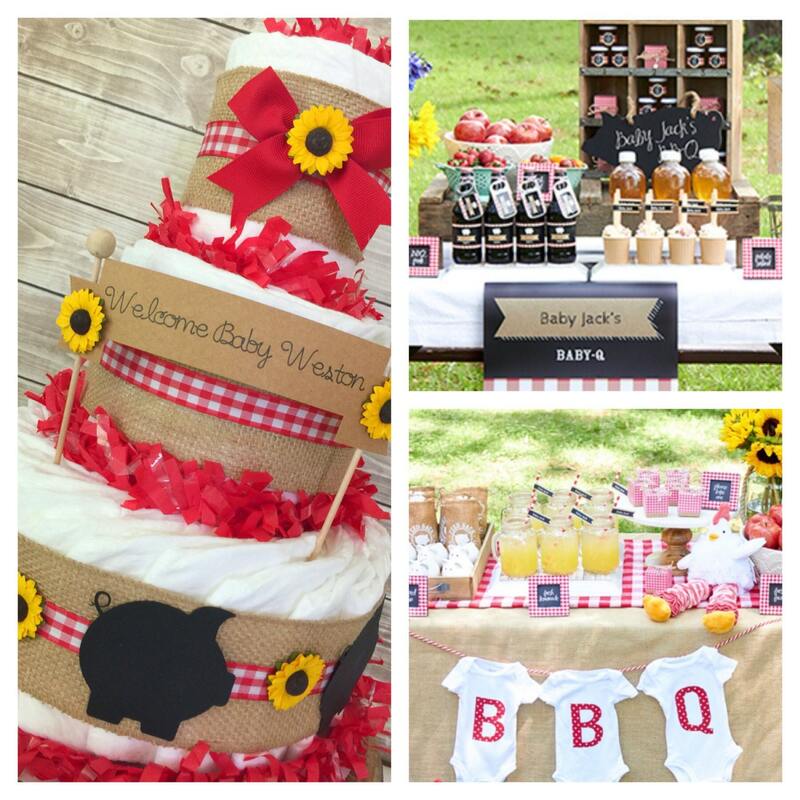 With thousands of items in stock, contact us if you have an idea and we can work with you to customize an order to meet just about any theme or color scheme! We accept Visa, MC, American Express & Discover Cards. We also accept payments via PayPal. PayPal payments are expected at time of purchase. If you need extra time, please let us know and we will be happy to work with you! All shipping methods are via ground. Upgrades to faster shipping are available by contacting us at 1-815-228-3564. Processing and shipping times are different and both must be considered when figuring the total time that you will receive your item. Each product page clearly list it's processing time in order to get out the door and on it's way. Please double check to verify the shipping address is correct prior to checkout as you will be charged the additional fees charged if not given at the time of purchase! If for some reason you are unhappy with your order, please contact us and we will be happy to work with you! 1-815-228-3564. Gift Card Messaging is added in the Shopping Cart. If you are sending your item as a gift to someone else, please include a short message to your recipient along with your signature. 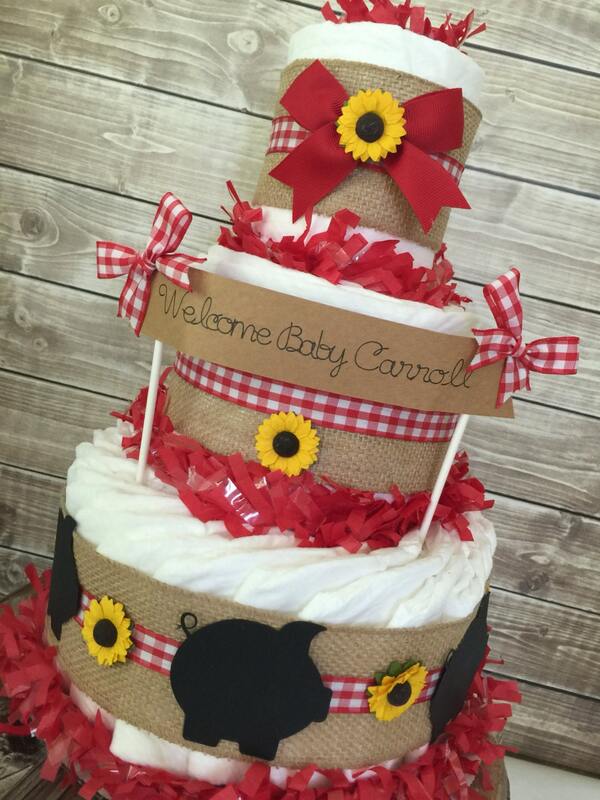 This is such a gorgeous diaper cake ! I put a water bottle next to it to show the size as I thought this was going to be much much bigger but I'm still very happy love this cake ! 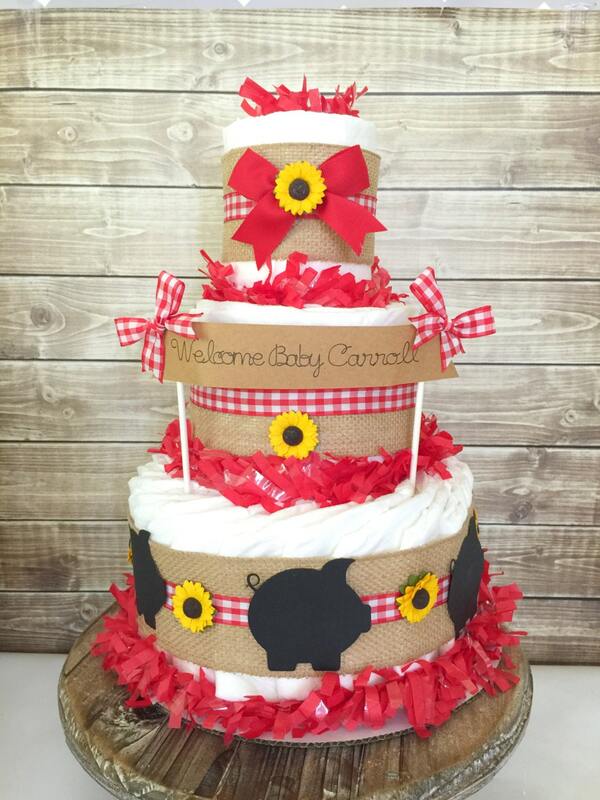 This cake is absolutely adorable. It perfectly fit our Baby-Q theme. It arrived on time and was exactly as described. So pleased! !